The Internet is a new Wild West: a free-for-all of abundant opportunities and serious dangers where familiar rules don't apply. There is no law enforcement to stop anonymous cowards from defaming your character, few social conventions to prevent it, and no mechanism to get lies and smears removed from the Web. One disgruntled employee, unhinged customer, jealous competitor, or bitter ex can trash your reputation in just a few keystrokes -- leaving you to clean up the damage. These online attacks have real repercussions. Every day, people search for your name on the Internet, and all too often trust the "Google Truth" -- the collection of search results selected by a computer for their popularity rather than their veracity -- to decide whether to do business with you, or even just associate with you. 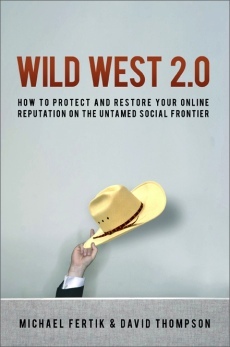 Draws intriguing parallels between the Internet's culture of expansion, speculation, and lawlessness and the gold rush mentality of the Old West frontier. Uncovers hair-raising stories of attacks made under a cloak of anonymity. Reveals new threats, including websites that broadcast your phone number, political contributions, family history, and more. Provides tips for locating every reference to you or your business in blogs, forums, and social networking sites. Supplies a plan to defend yourself now by preemptively creating layers of truthful online content. Shares the professional secrets of reputation repair, ranging from quick fixes for minor problems to massive rebuilding after calculated attacks. You may resist the idea -- you may even detest the idea -- but the reality is that your online image controls your success in "real world" business and personal life. Your online reputation is much more powerful and precarious than you ever imagined. Take control of it with Wild West 2.0.